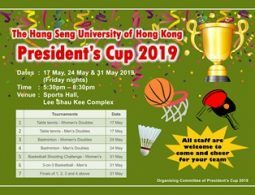 The School of Communication organized a 4-day trip to Taipei for our students during the Taiwan Presidential Election period, from 30 November to 3 December. The aim of the trip was to broaden students’ horizons in international affairs and further their knowledge of news production. The trip kicked off in the early morning of 30 November. 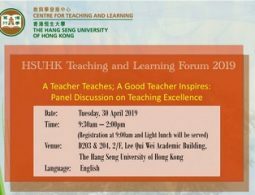 Led by Prof. Scarlet Tso Hung, Prof. James Chang Chih Yu and Prof. Meily Cheung Mei Fung, 33 BJC Year 2 and 3 students departed for Taipei and went to Legislative Yuan for briefing directly upon arrival and had a tour in the Yuan, which is seldom open to visitors. Students were excited; they acted like Members of Yuan and Government officers and had some photo shoots. After the Yuan’s visit, they went to the Headquarters of Ms. Tsai Ing-wen, the presidential candidate of Democratic Progressive Party. They had an exchange with the Party’s officer Mr. Lee, professors and volunteers and had a deeper understanding of the party’s electoral concepts. 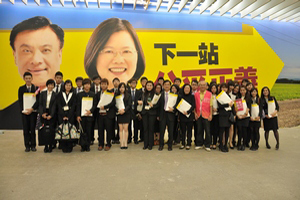 On the second day, our students paid a visit to the Headquarters of Kuomintang’s election candidate. They could feel the charisma of Mr Ma Ying-jeou at the Headquarters. They had a meeting with Dr. Kan Yi-hua, deputy director of international affairs of the Headquarters, and got a grip on policies of the party. Our students were also received by people in charge of different media organizations. 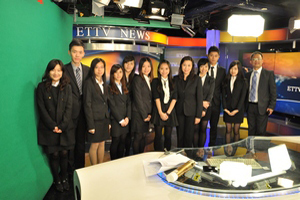 Students had a tour of their production routine and they could feel the effort that Taiwan media had put in for improvement and direction change. 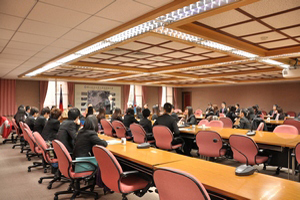 The following day students experienced the life of President Ma at the President Office, which is the core decision making unit of Taiwan Government. They also visited the United Daily News Group in the morning and had an active opinion exchange with Mr. Hsiang Kuo-ning, Director of United Evening News. They understood the challenges and tough process of the transition of the Group from plain media to all-rounded new media. 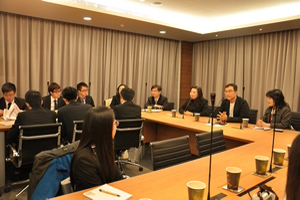 In the afternoon, students went to National Chengchi University and had a thorough exchange on Taiwan Elections with Chengchi University Provost at the Election Study Center of the University. 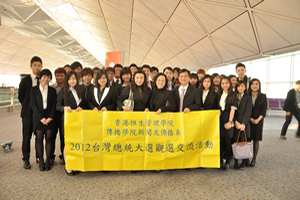 Teachers and students were ready for departure at the Hong Kong International Airport. Group photo of BJC students and volunteers from Headquarters of Ms. Tsai Ing-wen, the presidential candidate of Democratic Progressive Party. Our dean Prof. Scarlet Tso received an interview of local media outside the Headquarters of Ma Ying-jeou, the presidential candidate of Kuomintang. 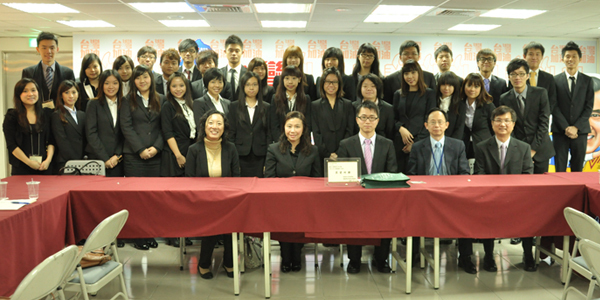 Group photo of BJC students and deputy general manager of ETTV (First right) during our visit to ETTV. Group photo of BJC students and Dr. Kan Yi-hua (Front row, second right), deputy director of international affairs of the Headquarters of Mr. Ma Ying-jeou after seminar. Mr. Hsiang Kuo-ning, director (Second right) of United Evening News had a discussion with our students on topics of media and elections. Officer Ms. Liu (First right) from the Mainland News Center of United News was also at the meeting. Provost of National Cheng Chi University welcomed our students and held a seminar with teachers of the Election Study Center.